Only two cases of the virus have been confirmed in Uganda in the past seven decades. This is because the types of mosquitoes that would transmit the virus to humans don’t often come into contact with the general population, says Dr Julius Lutwama, a leading virologist at the Uganda Virus Research Institute. “The Aedes we have, Aedes aegypti formosus, normally does not bite humans. 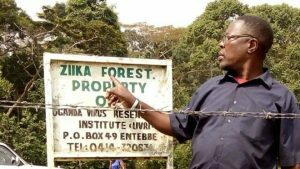 And then we have other [mosquitoes] which live in the forests and prefer to bite at dusk and dawn,” Dr Lutwama adds. This is in contrast to Latin America, where a different sub species, Aedes aegypti aegypti, is spreading the Zika virus.